A daughter of a family friend was having her 14th birthday and asked me to make her cake. Like many 14 year old girls she is in love with One Direction. 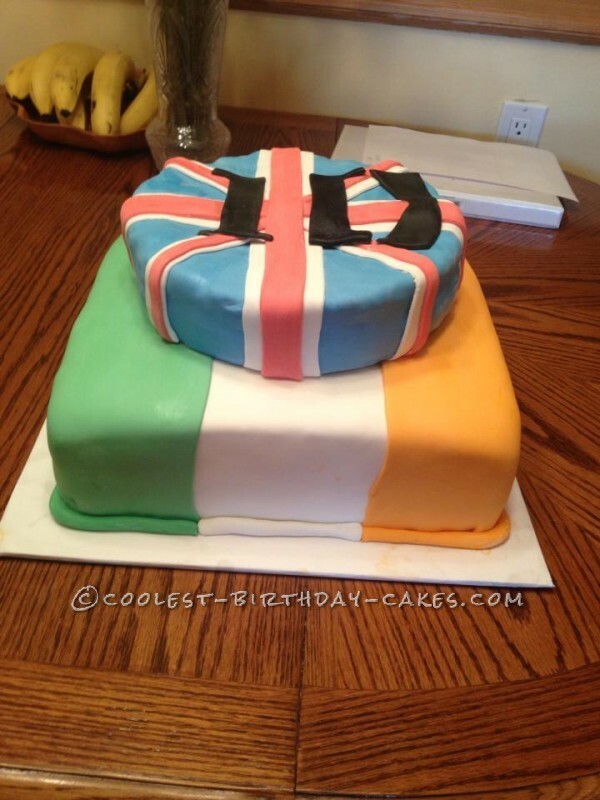 When I asked her for ideas I noticed a theme with the Irish and British flag so I knew it was the way to go. On the bottom I did a two layer white cake with butter cream with a whopping 12” square pan. It had to be 4” tall at least of sugary goodness. I covered it with different colors fondant and rolled a thin piece in each of the colors to use as a border. On top as requested, instead of cake I made a giant rice crispy treat (used an entire box of rice crispys too) for those who didn’t want cake. I made two layers out of 8” pan and for lack of better words squished them together. Again, I just covered it in fondant and it stuck pretty well without using any kind of “glue”. Took me close to 9 hours to put it all together but it was worth it knowing this little girl had an awesome birthday cake J. 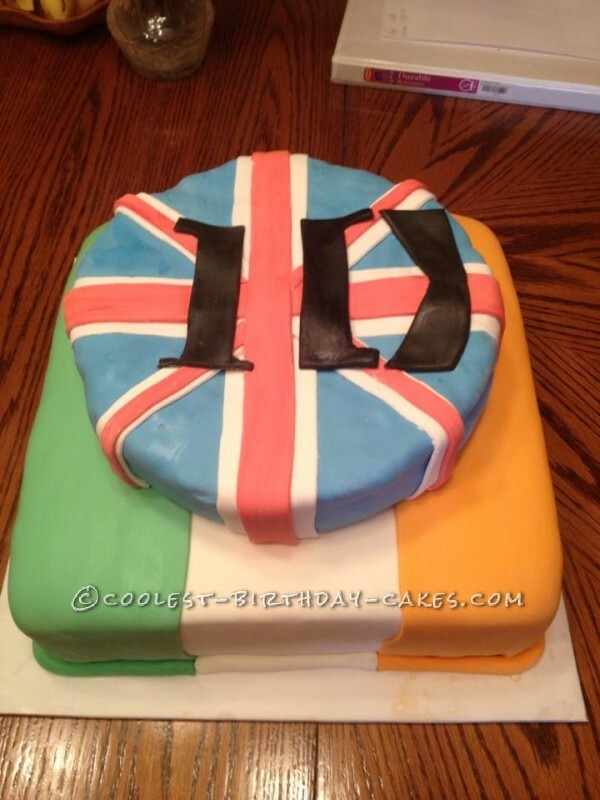 If anyone wants to recreate this without using fondant (lord knows I used A LOT) you could make the same design just using colored frosting, I’ve seen many cakes online covered in just frosting that looked fantastic! Hope I’ve helped inspire someone!